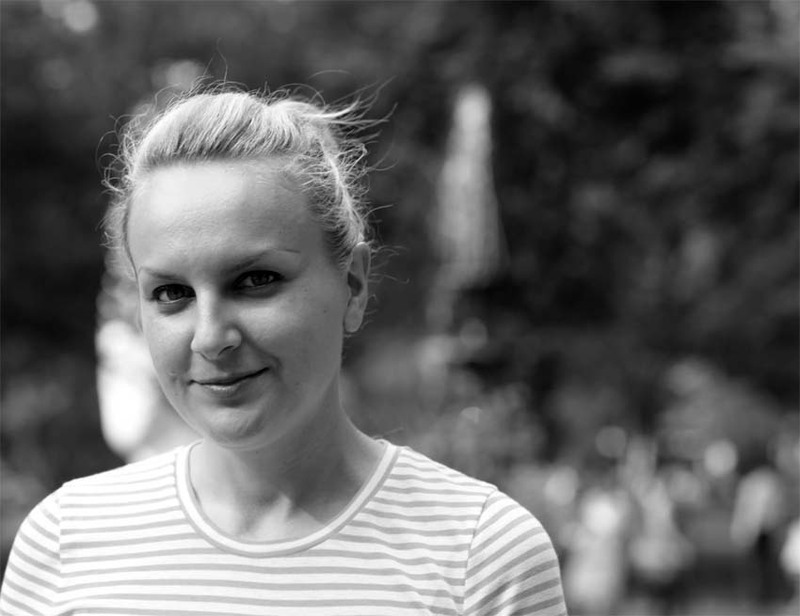 In this 50 minute radio interview, novelist Karolina Waclawiak discusses How to Get Into the Twin Palms, the collapse of bingo parlor culture in Brooklyn, the virtues of not talking with people, and Polish identity. Karolina Waclawiak appeared on The Bat Segundo Show #470. 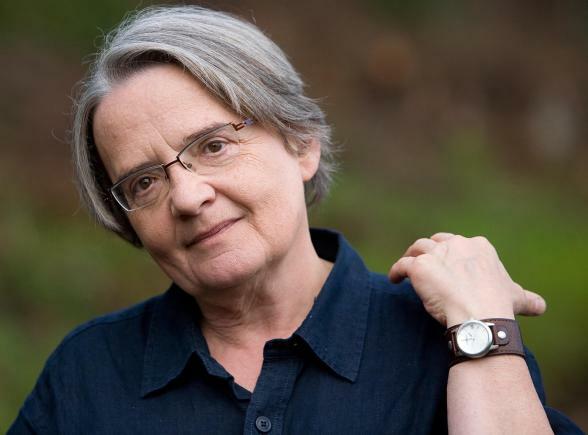 She is most recently the author of How to Get Into the Twin Palms. Condition of Mr. Segundo: Combing through the immigrant experience and what’s left of his deliquescing hair. Subjects Discussed: Kafka’s The Trial, being forced by parents to read Kafka and Dostoevsky, Roald Dahl, avoiding biographical details about a monstrous author, Norman Mailer, Madeleine L’Engle, Polish immigrants who revered Reagan in the 1980s, immigrating from Poland, the virtues of staying indoors, being a loner, kicking around Los Angeles, finding secret uncool places in Highland Park, bars that open at 7AM, discovering Bukowski and John Fante at eighteen, flophouses, the real-life Hollywood Downtowner Inn, peeping into windows and making up stories about strangers, the Hollywood Star Lanes (the former bowling alley where The Big Lebowski was filmed), stealing planted trees, finding reasons for Anya to leave the house by introducing eccentric objects in the narrative, the real Twin Palms, avoiding interaction, not talking back to people, when made up stories are more interested than the reality of the situation, the interview with Roxane Gay, talking with other immigrants, being ostracized because of ethnic identity, universal insights about being a young woman which transcend ethnicity, not being visual about who you are, being motherly about young women, gender power play between men and women, male power, Sara Finnerty’s HTML Giant review, youthful diffidence and Anya not wanting to hear her accent, comparing a Polish identity with America and Russia, family shame, being a liar to figure out who you are as a person, family ghosts, the very small Polish community in Los Angeles, similarities between Polish and Jewish identity, memoir culture and “suffering enough,” whether or not Williamsburg hipsters can stand in line, Communist food tickets, being detained at the border, input from Gary Shteyngart, animosity between Poles and Russians, sharing common suffering, the Four Yorkshiremen sketch, research into Polish solidarity (and often the lack thereof) within Los Angeles, speaking Polish, calling out bingo numbers, the collapse of bingo parlors in Brooklyn, bingo as a social outlet for older women, Robert Putnam’s Bowling Alone, not having an agent for How to Get Into the Twin Palms, the difficulties of getting an agent, myths behind likable characters, query letters, the futility of agent mixers, working at The Believer, efforts to be a screenwriter in Los Angeles, agents who want manuscripts that they can sell quickly, commercial forces working against quirky voices and dangerous perspectives, Shteyngart as a pansexual blurber, the many voices within Waclawiak’s fiction, and wreaking havoc on shoreline communities. Correspondent: The immediate influence I saw when reading this book was, of course, “Before the Law” — that whole chapter in The Trial, where you have this priest who is sitting there trying to get in and actually study the law in Kafka’s The Trial. And I wanted to ask if this might have been an inspiration for Anya, who is also trying to get in, more than living up to your title, into the Twin Palms. What’s interesting is is that we’re not even certain why Anya wants to get into the Twin Palms. I’m curious if Kafka might have been an influence and what her version of the law might be. Waclawiak: It’s interesting you mention Kafka. Because Kafka is pretty much one of my father’s favorite writers of all time. And he was always talking about Kafka and Dostoevsky at home. So perhaps subliminally, I was influenced by Kafka. He did make my brother read every Kafka book ever written, starting at age eight. Correspondent: Why? Why did the boys have to read in the house? Waclawiak: Well, I was, I would say, a bad kid who just didn’t want to do anything my parents said. And if they liked something, I instantly hated it. Correspondent: What? Wow! Well, you had quite an interesting upbringing. Waclawiak: Our house is pretty much all books. And my sister was a huge reader. All of us were huge readers. And my parents are both electrical engineers. But my father was a big dreamer and just loved to read. We didn’t have a ton of toys. But we had a lot of books. So I grew up reading. And strangely I would read the same book over and over and over again. So I pretty much had, as a kid, every Roald Dahl book memorized. Chocolate Factory was my favorite. Because I was just obsessed with a world where food was everywhere. It just seemed amazing to me. Correspondent: But when did you find out that Roald Dahl was a monster? Waclawiak: (laughs) I never wanted to believe it! Waclawiak: I feel like I can separate who you are as a human and who you are as a writer. If you’re a really good writer, I’ll give you a bit of leeway there. Correspondent: Stabbing his wife. Doing all sorts of stuff. Correspondent: What other books did you have growing up in the house that you reread over and over again? I’m curious. Waclawiak: I was really influenced by Madeleine L’Engle and really into fantasy for some reason. Although nothing that I write is fantastical at all. So it was more about just escaping and other worlds and just finding ways to be anywhere except where I was. Correspondent: Was it a fairly austere family upbringing which caused this need to escape or…? Waclawiak: So we emigrated to America in 1981. And we didn’t have anything. I mean, a church sponsored us in Texas. And I mean, they bought our groceries for us. We didn’t have any pots or pans or anything. Everything from the ground up was from this Catholic church. Correspondent: Did your family revere Reagan much as Anya’s family did? Correspondent: When were you first skeptical about Reagan? Out of curiosity. Waclawiak: I don’t know. When I started realizing what was going on…. Correspondent: Anyway, sorry to interrupt. A more interesting story. So you came over to America. Waclawiak: Came over to America in 1981. And we just didn’t know anyone. In fact, we were supposed to go to Australia. We left Poland, sort of middle of the night. Lined in our suitcases were our birth certificates and stuff like that. That whole way out. We went to Austria. Correspondent: Do you hide now in the present day things in your suitcases? Old habits die hard, I hear. Waclawiak: No, no, no. We’re out in the open. We’re now naturalized. It’s okay. Correspondent: Alright. Alright. No subterfuge. No evading government authorities, especially oppressive ones. Waclawiak: I pay my taxes. So we were in Austria and we were supposed to go to Australia. But my father didn’t put enough postage on the letter to the man who was supposed to sponsor us. So it didn’t go airmail. And we were waiting and waiting and decided he must just not want to sponsor us in Australia anymore. And my mother heard that Reagan had opened the border for more families. So she essentially took us to the front of the line. My sister was seven. And I was two. And she had both of us. And she’s like, “Let us into America.” So we ended up in Texas. Correspondent: It’s interesting. So to merge this family upbringing with your love of reading fantastical YA stuff to get to this particular novel, which is very much rooted, of course, in identity but is also interesting because Anya spends a lot of time inside. And I’m wondering how you came to Anya based off of your reading and based off your personal background. What was it that caused her to become this character that you needed to pursue in the course of a novel? Waclawiak: Well, I think it’s interesting. Because for myself, I spend a lot of time indoors writing. And I think I decided at age 12 that I was going to be a writer. So I became very serious about wanting to be a writer. Correspondent: And that meant staying indoors. Correspondent: Never seeing the sun. Waclawiak: I had many journals. Correspondent: Only allowed out during the hours of 4 PM and 5 PM for a brief constitutional. Waclwiak: Yes. Perhaps. To play by myself in some kind of swamp near our house. Correspondent: To prove that you weren’t physically equipped. But you were physically equipped to be a writer. Waclawiak: Well, I was just really shy. Like I couldn’t talk to people. I had a few friends, but I just was so shy. And I certainly couldn’t talk to boys. And I didn’t know how to do it. I had a couple friends. But we had moved a bunch when I was a kid. So I never had those born-in-the-same-house lasting friendships. Kind of “been in this neighborhood my whole life.” So I was actually a loner. And I used to tag along after my sister, who wanted nothing to do with me. I mean nothing. So I was lost. Correspondent: So how did you learn to talk with people? Waclawiak: I think I was in my twenties, actually. I remember that I took classes in my high school and Columbia. Correspondent: “How to Talk to People.” Yeah. Waclawiak So I’d take the train. But I would wander New York by myself. So friends would pair up to go do things in New York. And I would go off by myself. And I would get lost for hours. Correspondent: Do you still do that to this day sometimes? Waclawiak: Yeah. I mean, I think I prefer to be alone. Did a Romanian man awaiting trial on a minor charge have to die of a hunger strike? And is the film which tells his story entirely honorable? His name was Claudiu Crulic. He was a 33-year-old Romanian who, as a younger man, abandoned his loose educational plans and involved himself in the family business of selling sundries in various European nations. Or he was a mysterious drifter harassed by the authorities for minor indiscretions. Or he was living it up in vaguely dissolute, vaguely familial terms in Krakow. 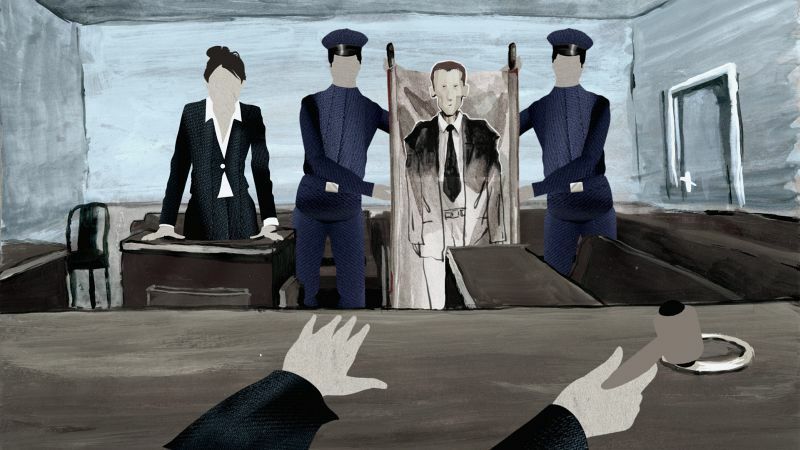 It really all depends — as Anca Damian’s animated film Crulic: The Path to Beyond makes clear in its enticing murkiness — on how you look at the situation, on the facts you decide to appropriate for your own subjective purposes, whether as filmgoer or fellow human being. Is that ringing telephone a cardboard reconstruction? Or is it merely a collection of hastily sketched lines? We can hear the cinematic fizzle of the overhead florescent lights, yet why can’t we see them? We are told that a man has lost 30 kilograms in weight before death, yet the air that surrounds his story is often weightless. Damian’s film cannot commit itself to any one animation technique: cutout, hand-sketched, and the kitchen sink are all vigorously pursued in an effort to unpack Crulic’s story, which is by no means airtight, entirely authentic, or even completely tellable. Crulic’s voice and imagery have been reappropriated, with another actor reading what I must presume to be reinvented words to convey one possible truth about a terrible tale in which facts may be fickle. This raises ethical questions over whether Damian the filmmaker is as reckless with the truth as the Polish authorities were with Crulic’s life. Perhaps the only way to hit at Crulic’s truth is through such smudging. There is one thing most people will agree on. Claudiu Crulic did not have to die at such a needlessly young age in a Polish prison. On July 11th, 2007, a judge of the high court had his wallet stolen, with two ATM transactions on his card totaling 500 Euros following not long after. Crulic, the apparent suspect who may or may not have been in Krakow at the time, was recognized in a photograph by the judge, detained, and placed into a prison to await trial in the months to come. Curlic decided that he could no longer wait and initiated a hunger strike, stating this in a letter to the Romanian Consulate. Damian’s film implies that the Consul strung Crulic along. This may very well be true. The judge and the Court and the lawyers and the doctors and the prison officials all have blood on their hands for allowing Crulic to die, for not intervening in time, and for throwing out evidence which might have exonerated Crulic (Crulic on a bus to Italy during the time in which the Judge was robbed). If the Crulic situation weren’t so tragic, it would certainly be comic or Kafkesque. But another important question that the film never quite answers is why Crulic would choose such a dramatic and life-threatening protest option over a more practical one. An inhumane hardliner could point to the heroes and rebs who have done hard time for worse offenses. We are told many times along the way that “it was at this point” that Crulic’s life might have been saved or the cruel bureaucratic process might have grinded to a halt. But do we really know this for certain? This film carries the illusion of veracity with a narrator who steps into the vocal track to give us more than contours. And some kernel of another truth is implied during the end credits with various television clips. But while I was seduced by the film’s imagery and ideas — the frozen cutout representation of Crulic flung about from cell to cell as he is shifted in disorientation by the guards, the idea that one life might contain a finite number of photos — I felt vaguely bothered by the film’s tendency to dictate rather than to suggest. I cannot in good conscience call this a documentary. But as one dramatic representation of a story that was largely ignored in the States, this path to beyond leaves one considering the path less traveled and fuels a new desire to travel both. It is a sad indication of the Polish justice system’s inadequacies that a more complete excursion is probably not possible.